Oxygen is a vital resource in our development and functionality, being one of few essential resources that feed and keep humans alive. Because a lot of people either lead healthy lifestyles or suffer from a lung disease, and they need to regularly keep tabs on their pulse and blood oxygen levels. For athletes, this is mostly useful for practitioners of high-altitude activities such as hiking, rock climbing, downhill biking and aviation. For the average user, this item is best used if the person suffers from a lung disease, like asthma and tuberculosis. 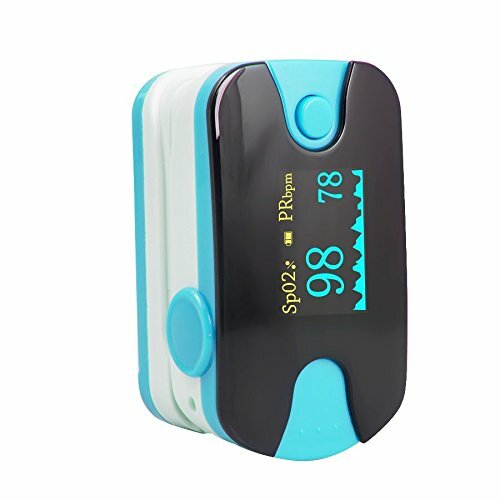 Considering their size, they’re easy to use, painless and very accurate, so it makes a lot of sense why someone would want to invest in an oximeter. Throughout this piece, we’re going to take a look at the Acc U Rate Premium Fingertip Pulse Oximeter, a well-designed piece of medical equipment that provides quick and easy-to-read results. We’ll be talking about why it’s good and why it’s not while taking a look at other similar products from the same market. The Name Acc U Rate truly describes the way that this particular oximeter functions. The manufacturer, TempIR, boasts of a portfolio that includes products targeted both for children and adults. 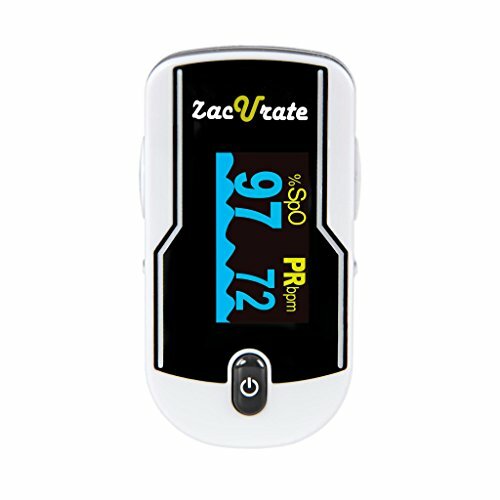 From a company that knows a thing or two about fingertip pulse oximeters, comes the Premium Fingertip Pulse Oximeter, an easy-to-use, highly accurate and good-looking measurement device. Even though not approved, it is n line with FDA and CE requirements with a margin of error consistent with +/- 2%. As stated above, the Acc U Rate is an excellent description of how this device functions. With consistent readings and a very easy-to-read display, it’s nearly impossible not to make good use of it. Providing good accurate readings of pulse rates and blood oxygen saturation, this is a must-have for any outdoor enthusiast who likes to venture into the thin-aired mountains. Constantly pushing one’s physical boundaries at high altitudes can undoubtedly have a substantial impact on both your short and long-term health. Low blood oxygen can lead to confusion, headaches and an increased heart rate—symptoms that can become life-threatening in a remote area. With anywhere between seconds and a minute for an accurate reading, this is a fast and reliable piece of medical equipment. The display features both numeric values and a graph, showing the user his or hers real-time vitals, as well as their short-term evolution via the graph. It’s straightforward to use—with the finger put in place, the user must only press the power button, and the display will start showing real-time data. Convenient, accurate and easily-readable—the perfect package! Being in compliance with FDA and CE requirements makes it great for medical use, although it’s not explicitly designed for that. Nurses will find that, when compared to high-end hospital equipment, this little guy truly holds its own pretty well, making it a great tool to have on the go or at home. This section is dedicated to showcasing the product’s strengths and flaws by comparing it to a similar item from the same market. The Acc U Rate Fingertip Pulse Oximeter has already been deemed worthy of everyday use, but let’s take a look at how it fares when put next to the Careshine OLED Finger Tip Pulse Oximeter. Both promising accurate results and in compliance with FDA guidelines, it’s hard to determine which of the two is better. The truth of the matter is that, despite its promising features, the Careshine OLED Finger Tip Pulse Oximeter doesn’t really offer anything it promises. With a spring that doesn’t manage to lock onto one’s finger and a sensor that has trouble picking up the user’s pulse rate and SpO2 levels, the build quality is really questionable. It’s easy to determine why the Acc U Rate is the better choice. Ultimately, while it’s not perfect, the Acc U Rate Premium Fingertip Pulse Oximeter is pretty close to being an ideal reader. With accurate and fast results, it’s hard to say ‘no’ to this all-around great product. Although it lacks the proper certifications, users should be confident that it works as intended and delivers consistent, good results.